And the fence adds such pizzazz. Kay, I like it lots! I said oooooo out loud. 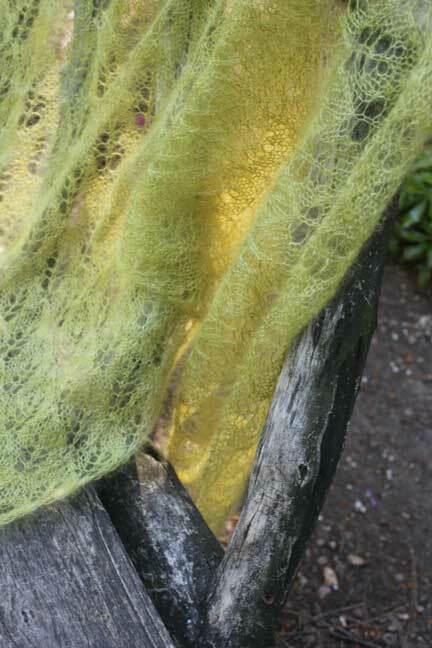 Oh – this is so beautiful and created out of my absolute most favourite yarn in the whole world. Yes, I am a Haiku lover! I rarely ever knit with it on its own though, usually tending towards carrying it along with other yarns creating different effects. My fondest way of using it is to carry a brightly painted colourway with black. Turquoise and fushia and reds are my favoured colours to put with black. 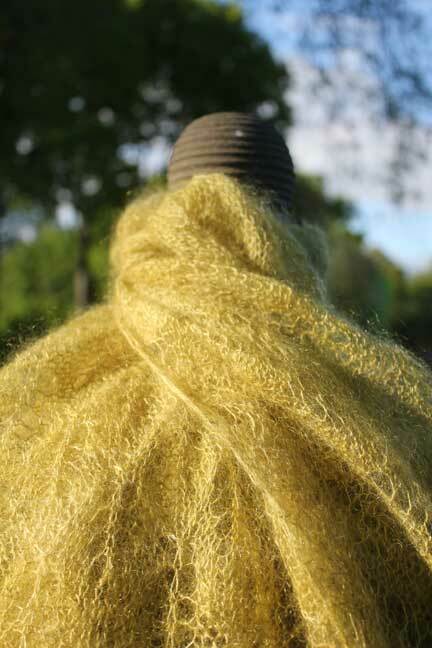 If I could only choose one skein of yarn to have, it would most definitely be Haiku. Fortunately we carry it in the shop I work in – Maiwa Handprints in Vancouver BC – maiwa.com so I have easy access to it. Thanks for showcasing this lovely piece of knitting. Very clever, all of it! When you set up these photos, are you ever the slightest bit anxious that all that rusticity might snag your beautiful knitting? 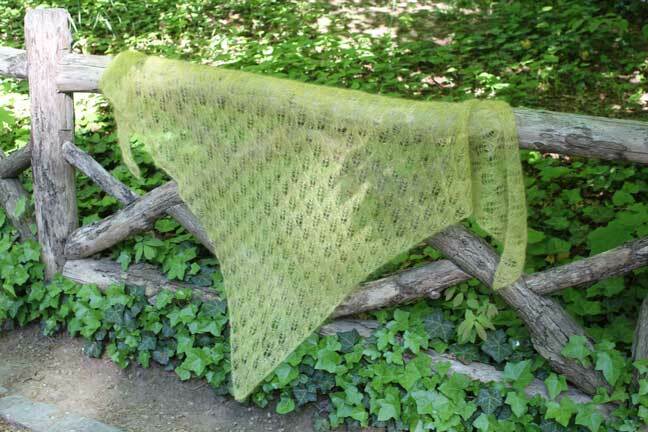 Wow, noble of you, redoing a ruffly bindoff in lace, I don’t think I’d have the stomach! Beautiful though (and I like the haiku also, but I’m not feeling too creative at the moment). Thanks so much. 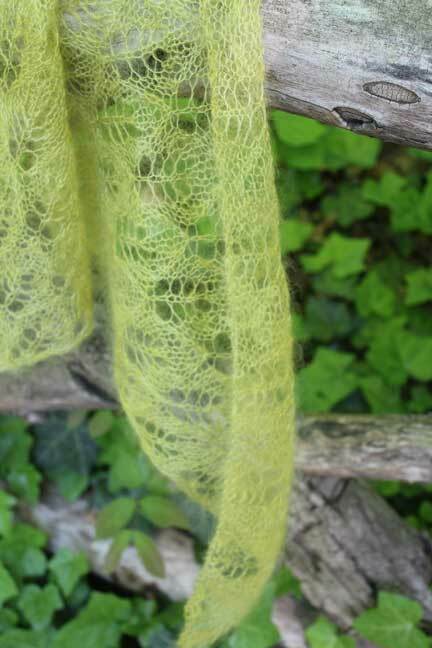 I was just going to knit my fourth Kiri, which is also based on Birch, but now have some new silk cloud fun. every time I see such a beautiful piece, I wonder why oh why can’t I do it? I have such a problem with lace!!! Any suggestions out there for a good how-to book or dvd? That is so lovely! Kudos to you for managing to rip lace mohair out without mangling it! No haiku from me. [No low-ku, either. Maybe a little *loco*; I’m in Texas.] It’s gorgeous. Adding it, sigh, to the ever-growing Ravelry queue. Thank you, I think.